If you were asked to identify between Galactose, Saccharin, Glucose, and Dextrose the one that is not a natural sugar, which would you choose? The answer is saccharin is not a natural sugar, as it is an artificial sweetener used in place of processed sugar, primarily because it has no calories and does not increase blood sugar levels after consumption. Although, there are numerous side effects associated with consuming artificial sweeteners, including headaches, nausea and even promoting cancer. Saccharin will undoubtedly spoil your sweet taste because when diluted in water, it is 300 to 500 times sweeter than regular table sugar. Once thought of as a carcinogen, the U.S. Food and Drug Administration (FDA) banned saccharin for a short period as a potential cancer-causing agent in humans. Somehow, they lifted the ban believing that it only causes cancer in rats, not humans. Consequently, it is hard to trust the FDA since they approve of other sweeteners factually harmful to humans like aspartame, sucralose, neotame, and acesulfame potassium. It is easy for these artificial sweeteners to sell because the average American eats the equivalent of about 22 teaspoons of processed sugar a day. The fact is the American Heart Association recommends no more than 6 teaspoons per day for women and 9 per day for men. Obesity becomes very understandable when you look at the fact that Americans basically consume their total body weight in sugar in one year. Just one gram of processed sugar is equivalent to a ¼ teaspoon and if you visualize a regular teaspoon of sugar, you have about 4 grams of sugar. Check the product label on any beverage (the No. 1 source of added sugar in the diet) containing 16 grams, and then you know that it amounts to 4 teaspoons in one serving size. Beyond increasing calories, added sugars like brown sugar, honey, and molasses have no nutritional value. A variety of sugars are added to fruit drinks (fruitades and fruit punch), milk-based desserts and products (ice cream, sweetened yogurt and sweetened milk), and grain products (sweet rolls and cinnamon toast) as well as from soft drinks, candy, cakes, cookies, and pies. Science says we are born with a desire to seek out sweet tastes. The fact is humans prefer sweet largely because carbohydrates stimulate the release of the feel-good brain chemical serotonin. Of the approximately 40 million brain cells, most are influenced either directly or indirectly by serotonin. This includes brain cells related to mood, sexual function, sleep, memory and learning, temperature regulation, and appetite. 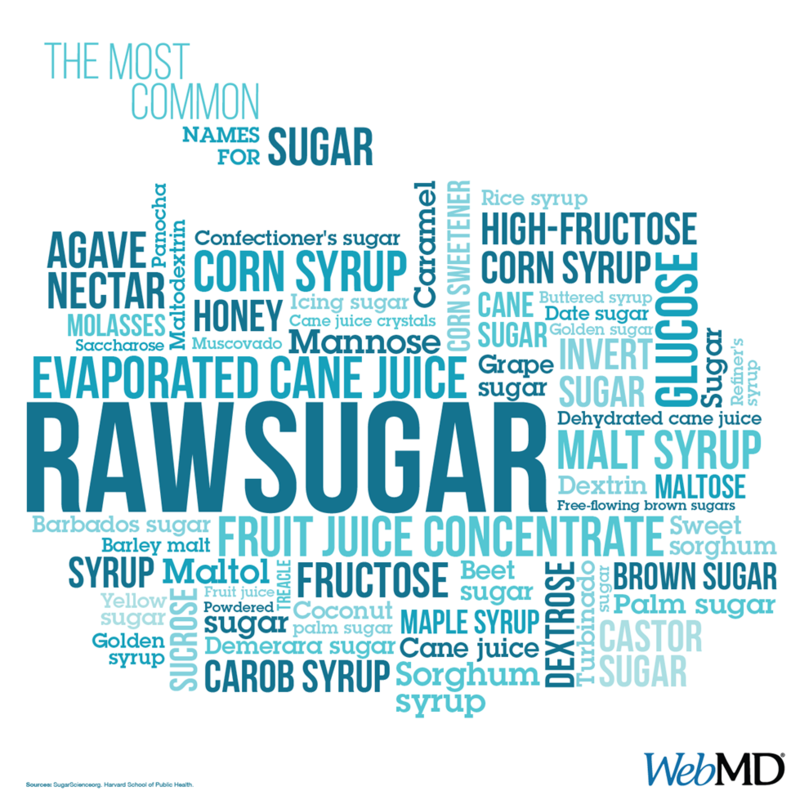 If table sugar were commonly referenced by its scientific name, Sucrose, it probably would not be as accepted as a consumable. But, because the word sugar is synonymous with sweet, table sugar is believed to be okay, when the facts say, not! Mr. Jones is a marketingstrategist with the Southland Partnership Corporation (a public benefit organization), sharing his view on mismanagement practices of packaged foods & beverages.